Approximately ten to twelve people die every day in the United States from drowning, according to statistics from the Centers for Disease Control (CDC). The numbers are shocking. Drowning deaths in Georgia are silent, sudden, and devastating. While some drowning deaths are caused by natural disasters, many are not. Many are caused by negligence of another person. This can make the grieving process even more difficult. Understanding the grieving process can help you know how to cope with the overwhelming emotions you and your family feel every day. During the grieving process, you’ll experience a variety of emotions. No two people grieve in the same way. It might help put your mind at ease while you cope with your loss if you understand not just how you’re feeling, but also how the people around you are feeling. If you are experiencing one or more of those, it is important to remind yourself that what you’re experiencing is completely normal. Don’t set a timeline for grieving. It is impossible to know how long it will take for you to fully grieve your loved one’s death. It might be something you never completely overcome, and that’s okay. Don’t put time limits on your grieving or you will add more stress and unrealistic expectations to the process. Be conscious of upcoming milestones. Anniversaries, birthdays, holidays, and other major life milestones will be more difficult than your day-to-day life. Prepare yourself for these, and plan to take some time to be with your family around the days that will be hardest for you. Stay physically healthy. It’s easy to get consumed with grief and ignore your personal health. Do what you can to maintain proper nutrition, get enough exercise, and sleep properly. This will strengthen your mental health as well as your physical health, giving you more tools to cope with your loved one’s loss. Go easy on yourself. Grief is not easy. Take the time you need, forgive yourself for days that you are more emotional, and be gentle with yourself. Likewise, allow yourself to have fun, smile, and enjoy life even in the process of grieving. This is a sign of healing; it’s not a sign of ignoring the memory of your loved one. Drowning deaths are sudden and tragic. Seek help from people in your community during this difficult time so that you may focus on coping with the death of your loved one. 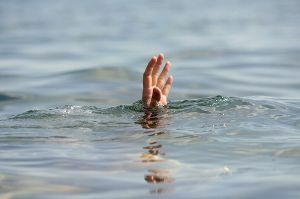 Do you know of someone who recently lost a person he or she loved in a drowning death? Send this article to him or her. You never know how much it might help during the grief process.